The Institute Of Technical Education (ITE) has been staging musicals for more than a decade, but this year they are staging their most challenging musical yet: Fame - The Musical, which runs until Sunday. 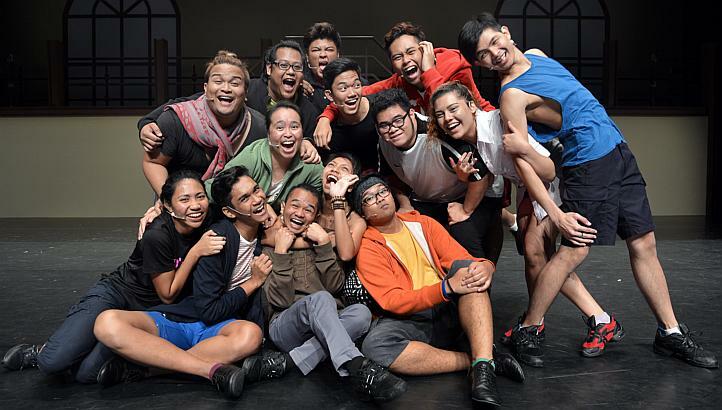 About 100 ITE students , alumni and teachers had just six months to perfect 16 song-and-dance numbers for the musical. The show revolves around a group of down-and-out students in a high school of performing arts. The institute started preparing about a year ago to stage the musical Hairspray, but switched to Fame halfway through because of copyright issues. Since Sing To The Dawn in 2001, ITE has put on musicals roughly once every two years. But for many of the cast and crew, it was their first time having to sing, dance and act all at once. Choreographer Jacqueline Pereira, who is in her 40s and has worked for theatre production company Dream Academy, says of the young, amateur cast: "Some of them came in not knowing their right leg from their left, but we believed in them. Now, they dance with a glow on their faces. That is the beauty of this journey."